Hello guys, enjoy free 1GB of data from MTN and 500MB worth of data when you dial the code am going to reveal here. 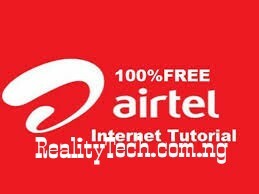 Unfortunately, this awoof MB is not available for all MTN subscribers. In fact, to some people, MTN send the message straight to the beneficiaries to dial the code to activate it. In other words, you can get a message from mtn "Congratulations! You have been gifted FREE 1GB data, valid for 7 days, to surf the internet." Then to activate it, you just have to dial *449*2# to activate your offer and after dialing the code, you will get a message like this.. "Congratulations! 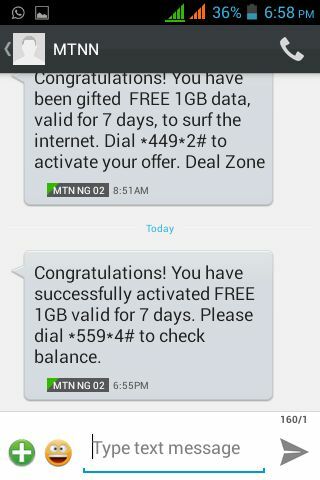 You have successfully activated FREE 1GB valid for 7 days. Please dial *559*4# to check balance." And pray your sim is eligible. The free data valid for 7 days (one week) and it can be used on Android phones, tablets, iPhones, iPads, java phones, dongles, modern and PC. I didn't get it on my mtn sim but was able to activate it in a colleague's sim. So you should give it a try as there is no harm in trying. Enjoy!